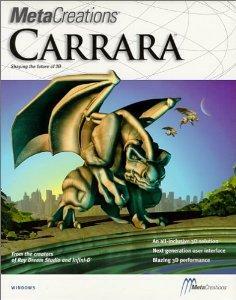 The history of Carrara started in 1989 when a group of individuals founded Ray Dream, Inc. with the idea of creating graphic software for the new Mac computers with color displays. 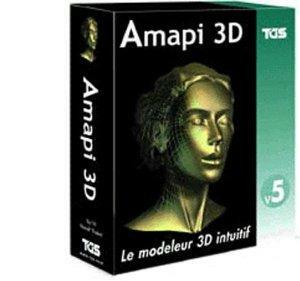 Two years later the first version of their new 3D graphics program which they named Ray Dream Studio was released. In the years that followed Ray Dream Studio became a successful product having at one time over 200,000 users. In 1996 Ray Dream Inc. was sold to Fractal Design Corporation (developer of Painter, Poser). Fractal Design Corporation was in turn acquired by MetaTools (developer of Bryce, KPT) shortly thereafter. The combination of the two companies was given the new name MetaCreations. 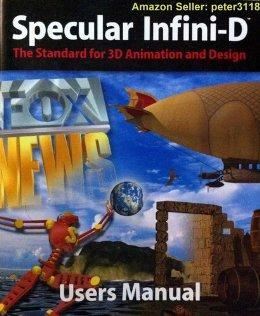 Around the same time another 3D graphics program named Infini-D was acquired from Specular International. Now owning two 3D graphics programs, MetaCreations decided to merge Ray Dream and Infini-D into one application giving it the new name Carrara. Metacreations released version 1.0 of Carrara and then soon released a patch for the code as the original release had significant bugs. Very soon after the patch was released, Metacreations stopped support of Carrara due to the divestment of the package with the interests of Metacreations moving into other areas. For a short period, Carrara users were without support and the only way to get the patch was through other internet sites or other Carrara interest groups which could be found in different places on the web. Around the year 2000 when Metacreations was divesting itself of most of its products including Carrara, Metacreations sold the package to a new company named Eovia founded by former MetaCreations employee Antoine Clappier. 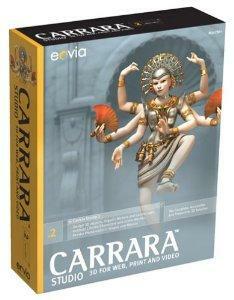 Eovia developed Carrara for several versions culminating with version 5 released in 2005. Eovia also developed a new 3D modeling application named Hexagon which shipped in 2005. Eovia installed significant upgrades to the package which would include bringing forward the Raydream physics package which was originally not licensed in the Metacreations version of the code. The inclusion of soft shadows, caustics, global illumination lighting abilities and improved atmosphere models are just some of the improvements Eovia installed. In 2006 DAZ 3D (developers of DAZ Studio and a line of articulated 3D figures) acquired Eovia along with Carrara and Hexagon. Several programmers formerly employed by Eovia now work for DAZ and continue development on Carrara. DAZ 3D has had a significant focus of adding functions for poseable figures as well as models for hair and animation tools. 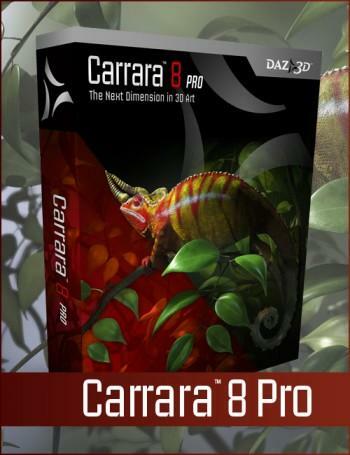 May 2010 DAZ 3D launched the current version of Carrara 8.0 to the public. DAZ 3D works in an "Open Development" environment, releasing early and turning to the users for input and feature input. The last 2 releases of Carrara have been done using this development cycle. 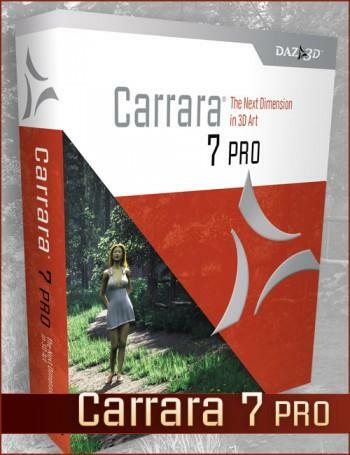 Carrara (8) includes the addition of the bullet physics package which has provided Carrara the ability to generate improved animation techniques for scenes involving collisions of multiple bodies or particles. DAZ has also added models for softbody dynamics which makes it possible for cloth and other clothing types of animations to be generated with realistic results. As I recall, RayDream was also a part of Coreldraw and it was called CorelDream or something similar...around version 3 of Raydream...but was then dropped by Corel. I think that is where I first heard of Raydream; via CorelDraw..have been using Raydream since version 3 till now C8. I actually don't recall that, and I was using CorelDraw before I found 3D. I do however remember buying a combined package containing Bryce 3, Poser 3 and RayDream as a bundle When I updated from Bryce 2 to Bryce 3. That was still Meta Creations. Corel did buy Bryce when MetaCreations decided to sell off the software, before it came over to DAZ 3D. Corel did carried the basic version of RayDream. Ah right, must have missed that. I still have at least one version of CorelDraw around, I used to really like CorelDraw. 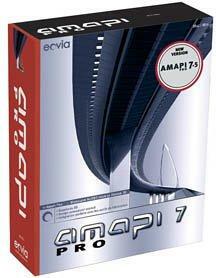 And Corel Photo-paint, before I got PSP and then Photoshop. Wasn't Bryce free for a while during Corel's reign? I just bought Paint Shop Pro X5 bundled with VideoStudio X5 from Corel, and am quite impressed with the value/cost ratio being enormously in my favor. Carrara 5 Pro, from what I gather from the above, was when they've first introduced Poser Content support, which is the biggest feature that drew me in. I began my journey down this road from Poser - making images for Game avatars for Neverwinter Nights, using 3ds and Gmax for supplemental game mods - the Avatars in Poser was merely an after thought that my 3d trainer turned me on to. "Hmmm, if I could get just a smidgeon of modeling functionality from either Max into Poser..." is what eventually got me to find Carrara 5. By the time I bought it, it was nearing version 8 in the capable hands of DAZ3D. No. I paid full Price for Corel Bryce 5 and as far as I can recall it was only available as a CD copy, and even when it came over to Daz it was still a paid for item. Bryce 5.5 was 119.95 ( or £19.95 as an upgrade if you were an artzone member). 5.5 became free some time later, when Daz released Bryce 6. Jack Whitney, bring back lots of memories. I had a chance to meet Jack when we both went to MacWorld with Eovia to do Carrara and hexagon demostrations. Carrara has come a long way. No. I paid full Price for Corel Bryce 5 and as far as I can recall it was only available as a CD copy, and even when it came over to Daz it was still a paid for item. Bryce 5.5 was 119.95 ( or £19.95 as an upgrade if you were an artzone member). 5.5 became free some time later, when Daz released Bryce 6. Okay. The reason for the misconception on my end, is that when I first started talking about the fact that I was into Poser, someone told me that I should check out Bryce. It's much better than Poser and it's Free, he said. Been wondering about that ever since. Could be because there was (and likely still is) a free demo at c|net? I dunno. That is cooler than cool! Did you know Philip Staigerman, too? Not sure for how long, or what he did, but I know he used to work at Eovia too. Okay. The reason for the misconception on my end, is that when I first started talking about the fact that I was into Poser, someone told me that I should check out Bryce. It's much better than Poser and it's Free, he said. Been wondering about that ever since. Could be because there was (and likely still is) a free demo at c|net? I dunno. Oh Dart she is So sweet. I have been using Bryce since1997, Own every version since Bryce 2, which was the first version for PC, and know the history of Bryce very well. DAZ 3D is the only owner of Bryce who has ever released free versions, unless you count a mag cover copy of Br 2 as free. But enough derailing, back to the History of Carrara. Oh yes Philip is my pal!!! Mr Dogwaffle.. love Philip. Really nice Dart! 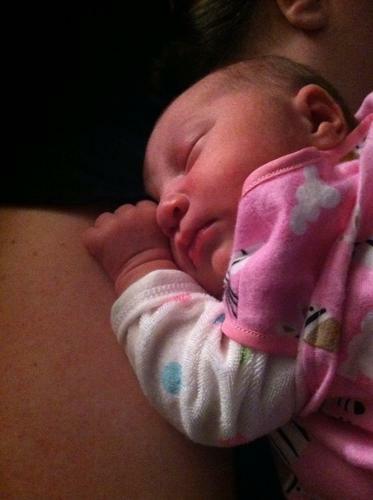 Wait 'til she gets old enough to really appreciate Grampa! I tried the link in the first post and it leads to a null entry - which suggests Going Here Instead Wow... and that takes me to the same page that your link goes. So... readers, once you get to that page, click on the Carrara (software) suggested link, and you'll get to the right spot. I hope. I will have you all know.. .I use to use RAY dream to make animated TV Commercials WAAAAY back in the day! I thought I had died and gone to heaven when Ray dream/Carrara came out with SOFT SHADOWS!! NIRVANA! GAWN what was the CEO name at ray dream who use to answer his own e-mail! AH the good old days! That is SO cool to know, RC! Back in the Eovia days Antoine Clappier who was the first CEO of Eovia use to come into the Carrara User group and always chat with the community and he would even answer emails. We also use to have regular community chat session with Antoine and the Carrara developers. There was always a connection between the developers and the community. It was lots of fun. In the Carrara user group that I used to owned before we moved here we use to have 7,000 register Carrara users. I remember the Clappier days! My whole relationship with Carrara started with the Coreldream version that I bought with the Corel suite back in college. Raydream then came out (for me) very soon after as a separate beasty by Metacreations and I bought all of the versions that evolved after that (all the way up to Raydream 5.5). I still have them! Then, CARRARA 1.0 came out (the Metacreations version) and it was chockablock full of bugs! A patch was released and then Metacreations died off and we (the Carrara community) were left in limbo sharing the patch in an underground network of people for about a year. Then Eovia took it and we had Carrara 2.0 pretty quick after that. It took a while to get the Raydream physics engine licensed again and back into Carrara (and yes, it took a few versions to get those oh so juicy raytraced soft shadows back!) but it happened! We have rendered with GI in Carrara for a LOOONG time now but I remember when it wasn't there and we had to fake a lot of lighting with a lot of lights tucked in all over the place! I've been fooling around with Raydream/Carrara now for 16 years. Hard to believe! I miss those days. I used to be in the Carrara chatroom every night. Good talk and learning experiences. I remember being a big part of 3dxtract with Carl, we even partnered up, and I coded up a community portal right before the Daz purchase. Carl lost all confidence and shutdown the project. Many of us had close ties to the Eovia crew, and it was a difficult transition. 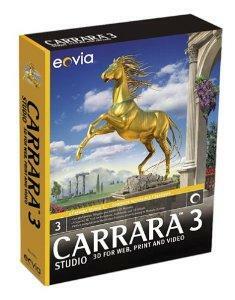 I started one of the first product portals for Carrara (vizualds) and shut it down to partner with Carl and 3dxtract. I also used to run Formula Designs which had a huge amount of information on coding Formula objects, and shaders. I even have about half a book on formula creation, and another binder full of shader techniques that I never published. I think that it is interesting that you start the story with Ray Dream. I am not debating this necessarily, but I started my 3-D career with Infini-D (well, technically Imagine on the Amiga) and I guess I look at the story starting there. I didn't use RDS, but I remember opening it a few times - the UI was very different from Infini-D. Overall, I would say that interface elements, features and functions came from both products. I have to say, I was pretty wary to switch over to Carrara 1.0 back then (it was getting some harsh criticism). One thing that really helped was that MetaCreations did a good job of creating a consistent interface style across all of their apps; particularly Poser, Bryce and KPT, which I was using at the time as well. BONUS QUESTION: Does anyone remember Strata Studio Pro? I was using that for some projects too when I started learning Infini-D 2.0. MYST was all designed with SSP. Not me... I'm getting older, but I'm a relative child in this realm - starting with 3DS Max 5 for study, GMax on my machine. I made a pile of stuff without question. He bought me Poser 5. That's where I feel that this whole avenue for me actually opened up. My wife saved behing my back and gave me my Carrara funds in 2010, just prior to the release of Carrara 8. So buying 6 Pro, upgrade to 7 pro(saved a bunch that way) got me 8 Pro when that came out - and here I am! I find it interesting that you can still buy copies of 1, 2 and 3. 4, 5, and 6 box versions are all out of stock. Pretty cool. I thought it might be fun to show the box images for versions - and was happy to be able to find them all - 1 through 6 at Amazon and the others I have in my account. Ya know... I can't go back very far in Carrara history. But I'm very happy that I have every official version sold by DAZ3D - well... except only the Pro versions. I collect hard drives and use them to archive things that I own digitally, and never want to loose. So I've kept every build of 8 and 8.5 beta versions. I still have Daz|Studio beta 0.7 as well. I was amazed at what they've done. And now I look at it - I'm glad that it's DAZ3D that owns Carrara. I love how their software developers think - what they do. 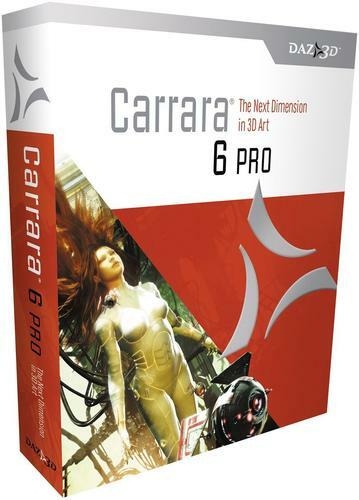 Even though it's a virtual box, quite frankly I'm less than impressed with the cover art for Carrara 8.5. Not that the image is bad, it's just not Carrara. It looks more like a Studio box. Plus it doesn't seem that vibrant. 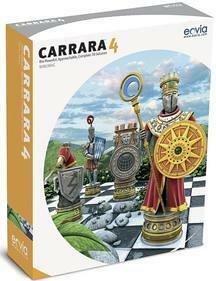 To illustrate my point, look at the previous versions of Carrara box art, generously posted by Dart. The C6 pro box art shows a DAZ figure with dynamic hair blowing around. C7 Pro shows a DAZ figure in a Howie Farkes scene, which makes use of all sorts of Carrara features. The C5 box shows a DAZ figure again, but the background shows off Carrara's environmental features, such as atmosphere, terrain, plants and replicators. The 3D express box shows another figure, and probably the ocean primitive. The C8.5 art is basically only content. I'm sure the figure and horse are Genesis, which is a legitimate thing to showcase, but they show that Carrara can handle Genesis and content in one fell swoop. There's really no need to show the other content, such as the building and the tree. Why not show a Genesis human riding the Genesis horse across a terrain with replicated grass or hair as grass with volumetric clouds in the sky and sunbeams beaming? I can see your point. I like it. I like the well-adjusted saturation as a change from the punchy color rush - although I love that style as well. I like the new label, too. I think it matches well with the times as far a Windows is concerned - not sure what Mac styling is doing lately - but it seems that the times, all over, are going for a more flat look without all of the beveling on buttons we've had in Widows forever now. It's mundane, and a bit refreshing because of it. The imagery certainly does portray content, and of course you know that I am a major fan of the way Carrara deals with content - and, I think you've hit it on the head: Both her and the horse are Triax and that's what Carrara 8.5 Pro is all about. I guess we'll just have to let me like it, and you can work on rendering a nicer one that we can paste onto our boxes. Perhaps a nice shot of Cygnus? She's the new V6 with some hints of Gia and some others along with my Woodlands kit and some fun Dogwaffling Post effects. Someone new to Carrara may not know about all those things I just mentioned, but put them on the cover and they get an idea of what Carrara can do. It can handle realistic figure, environments, etc. etc. 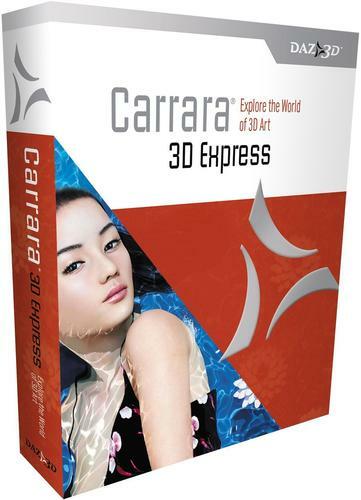 If it looks too much like DAZ Studio artwork, the takeaway is why should I pay for Carrara when DAZ Studio has super similar renders and it's free? Cover art is meant to grab the attention of the browsing consumer. It needs to wow them and make them take another look. The current art isn't bad, it's just too pedestrian for my tastes, and quite honestly, I really don't like the muted color scheme at all. It also looks like the the whole image is composited together with the tree being a really poor example, and on closer examination, the sky is garbage. That's actually why I posted it... seemed like a great cover image to me too. And was an example to me of how nicely Gen2Fem works. That was a fun to make render! Again, I can absolutely see your point. Well to get the Carrara 8.5 Pro promo going. I am grateful that you are here and have recently become active again in giving us the quality Carrara assistance that only you can do so well!